The second of two SACD releases from the Neos label celebrating Helmut Lachenmann's 80th birthday in November 2015. When his compositions were first made available, musicians were very cautious and suspicious about the impact his music would have, as they had to change the way they performed. 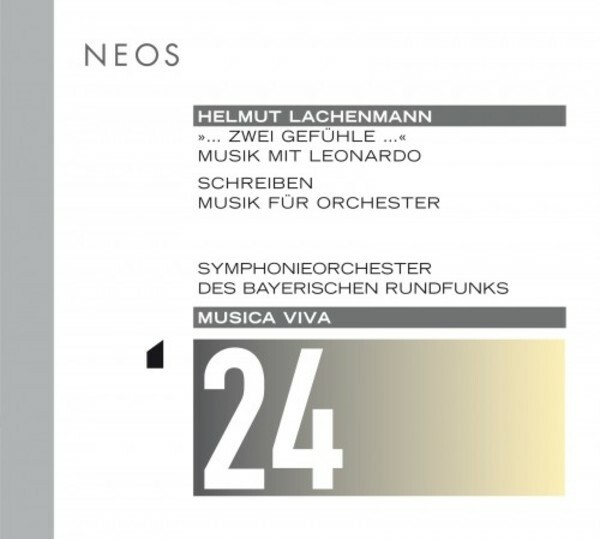 Neos has been at the forefront of recording unusual repertoire and is very proud to release this recording to acknowledge the place Lachenmann now has in the classical music world. Performed by the famous Bavarian Radio Symphony Orchestra (ranking as number 6 in the world according to Gramophone magazine), and with outstanding soloists (Helmut Lachenmann himself) and conductors (Peter E�tv�s and Susanna M�lkki), this is our tribute.